Are you a plotter or a pantser? If you think this is a question about whether you leave the house properly attired, you probably haven't ventured into a writing workshop or blog recently. In the parlance of many fiction writers, a "plotter" is someone who writes from an outline, while a "pantser" writes, well, from the seat of their pants. And, in the words of local writing coach Annalisa Parent, these two types are "born not made." Too many academic writing programs, says Parent in an interview, tell aspiring novelists that outlining is the solution to problems in their manuscripts. But what if that systematic approach only stifles their creative impulses? 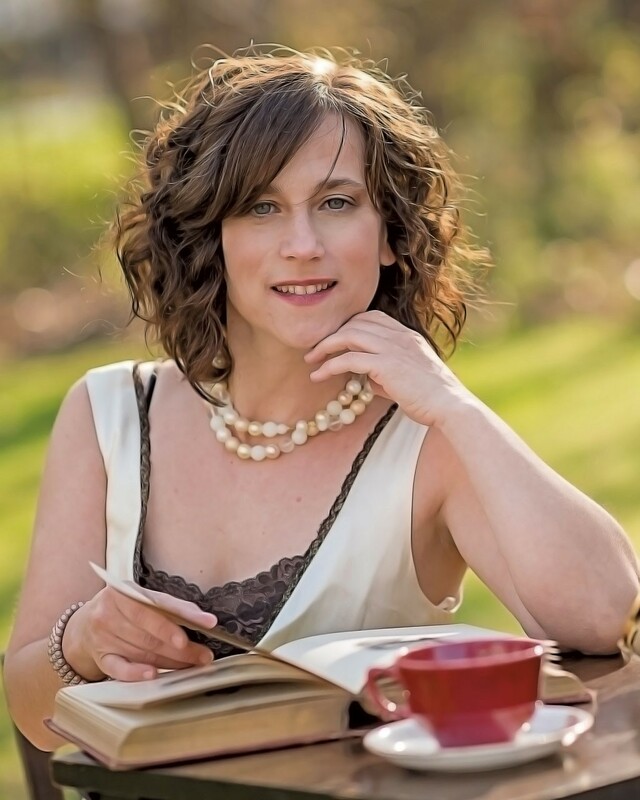 For such natural pantsers, the Colchester resident wrote her new book, Storytelling for Pantsers: How to Write and Revise Your Novel Without an Outline. The aim, she says, was "to tell those writers who are pantsers that your method is a method, and there is a place for you." Parent, 43, studied writing with Julia Alvarez and Jay Parini at Middlebury College, then taught English and French at Rice Memorial High School in South Burlington. Though she still teaches periodically at Norwich University, Parent says, she's been coaching writing full time for three years now, after a decade of doing it on the side. Parent finds many of her clients online, taking sign-ups at her site datewiththemuse.com. At a second online HQ, writing-gym.com, writers can sign up for her boot-camp-style workshops that focus on completing a novel and preparing it for publication. Goal setting is a big part of the process; in one of her eight-week novel-writing workshops, Parent recalls, "one woman wrote 80,000 [words] with a newborn." Parent says she works with six to 12 clients per month, at rates she prefers not to disclose, using an app called Zoom to video-conference all over the world. Sometimes she also organizes in-person writing retreats, such as the ones that will take her to London and Australia in the spring. Storytelling for Pantsers: How to Write and Revise Your Novel Without an Outline by Annalisa Parent, Laurel Elite Books, 294 pages. $24.95. Parent says she bases her instruction on neuroscience, using general knowledge of learning styles to help writers overcome their fears and become more productive. For instance, she notes, the timing of feedback is key; too much criticism too early in the writing process "triggers a fight-or-flight response" that can leave writers blocked. In her words, "We're looking to grow writers; we're not looking to judge writers." And part of "growing" writers is showing pantsers how to work with their natural tendencies to experiment and explore. Aspiring writers who fail to complete or publish a novel, Parent speculates, are often those who didn't know how to "create a cohesive whole from the mess that is pantsing." To craft that whole, Parent teaches in her book, pantsers must first accept that their process is "cyclical" and "nonlinear." Using an exercise called the "fiction vortex," she demonstrates that the building blocks of a novel — "character, plot, pacing, clarity" — don't come into being fully formed but evolve organically with each draft the writer creates. Parent allows that many writers combine the characteristics of plotter and pantser or might vary their strategy with their project. "When I write nonfiction, I outline," she says. "When I write fiction, I'm a straight-up pantser." The distinction, she suggests, reflects the relative proportions of the "creation stage" and the "organization stage" in the novel-writing process, but "We're all some hybrid mix of both." In her book, Parent uses goofy humor and the upbeat language of self-help to get pantsers on track (or off track, when that's where they need to be). She writes eloquently about the sense of discovery inherent in pantsing, comparing the writer's willingness to experiment with a scientist's: "There's power in setting action into motion and practicing careful observation." The worst mistake a writer can make, Parent suggests in an interview, is "trying to be someone else" — say, a literary idol such as Ernest Hemingway. "You need to find your authentic voice." Once writers have channeled that voice, many strive to make it heard in a noisy mediascape, whether they're seeking a literary agent or self-publishing. Parent, who is active on Twitter and Facebook, covers topics such as social media promotion in her publishing-focused workshop, she says. "We want our authors to be prepared on all fronts, to be the best product they can be." Reading Storytelling for Pantsers, one can't doubt that Parent is sometimes selling a product, too. She advises writers against relying on academic programs or free community critique groups, promoting professional coaching as an alternative. The book ends with an invitation to readers to sign up for a free online chat with the author, who promises, "It's going to be the best hour you've ever spent working on your book." Does the method work? One of Parent's clients signed with an agent who is currently submitting his manuscript to publishers, she says; a few others have seen success with self-publishing. Parent herself has self-published a novella, No. 2 Inc: Mission One, that she coauthored with local designer Nate Herzog. Storytelling for Pantsers was released by hybrid publisher Laurel Elite Books, which gave her a senior editorial position after accepting her manuscript, she says. Parent has also written for TV and various media outlets, such as South Burlington's the Other Paper, and is currently working on shopping her women's fiction. She started her coaching business because "writers had come to me for help, and I really enjoyed helping them," Parent says. She has networked locally as well as online, teaching through the Burlington Writers Workshop and serving on the board of the League of Vermont Writers, and she has spoken annually at the Writer's Digest conference in New York City. In January, she'll run a free workshop at Groennfell Meadery in Colchester. Whether pantsers or plotters, writers are likely to find Parent's enthusiasm for the art infectious. "A lot of the people who come to me are at a stage of life where they can take a breath," she says, referring to clients who are retired or empty nesters. Parent asks them, "What investment do you want to make in the person you want to be?" Parent presents a writing workshop followed by an open mic on Friday, January 12, 5:30 p.m., at Groennfell Meadery in Colchester. The original print version of this article was headlined "Local Writing Coach Comes to the Aid of 'Pantsers' With New Book"